Thank you for the detailed stories and pictures! I still wish I could've been there, but it didn't work out for me. One of my Beatles/Petty friends was there to see Steven Tyler so of course I had to ask her if she liked Haley. She replied in the comments: "I did see her, she was very good. I loved her voice." Yay! Short clip of Haley sound checking "Let's Start" and she asks me "Tusk, You got the Ba Bah's?" 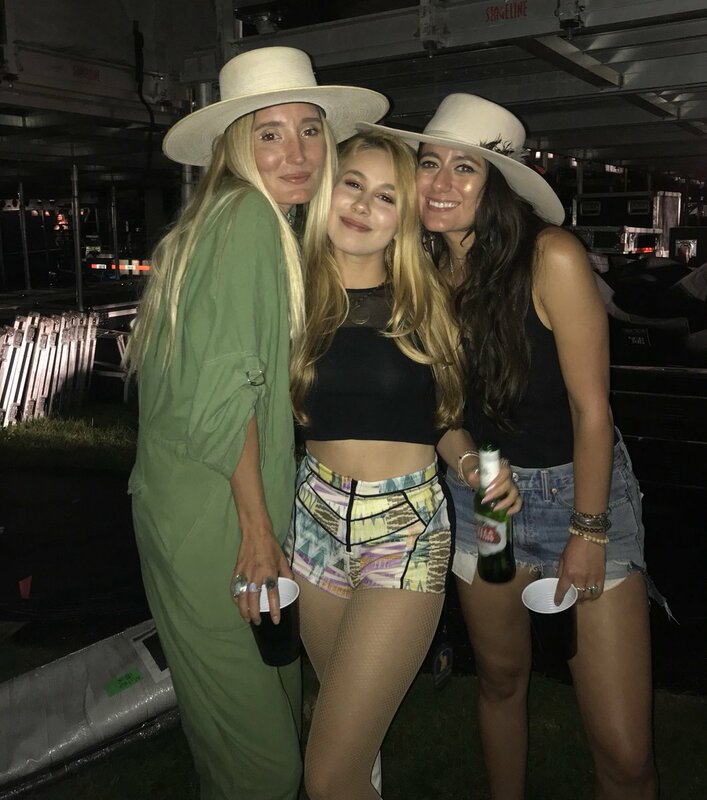 Then during the song, she went forward towards the front of the stage, sat on the steps to the right of me and looked at the camera again as she sings "I...can't help falling..."
(07-08-2018, 03:24 AM)Tusk Wrote: I also talked to Harry some more. You could tell he was buzzing. He asked Haley, "Did you even get to spend some time w/ Steven?" 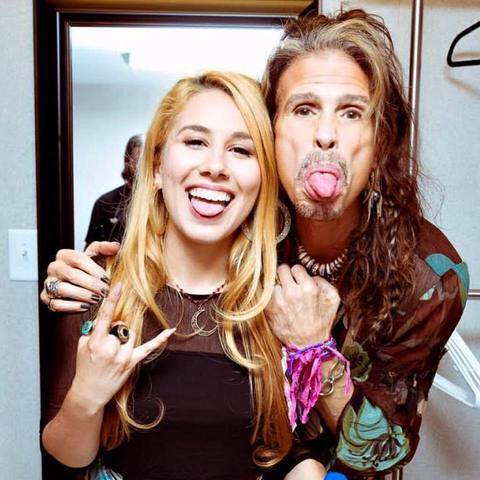 Haley said, "Oh, yeah, we hung out"
#haleyreinhart #napervilleribfest opening for #StevenTyler #SweeetEmoooooshun ?? . We all thought that if Haley & Steven would sing at least one song together it would be this one that I caught the tail end of "Oh Darlin" since that was the song Steven first heard her sing in the audition. I guess the fact that he sang it along with a Beatles medley could be construed as kind of a tribute to Haley. Is Steven Tyler sticking his tongue out at Randy Jackson, implying "Look at the Prize I ended up on the same stage with you dawg!!" "I knew from the audition that this girl "WAS IN IT TO WIN IT"
I wanted to tell the guy with his back to the stage chattering with his girlies to just shut the hell up, but figured that might make it even worse. actually now that I can make out a little of the background chatter. They are talking about how they love this song and the commercial made her cry... so I guess it's not all bad. Current time: 04-18-2019, 07:09 PM Powered By MyBB 1.8.19, © 2002-2019 MyBB Group.